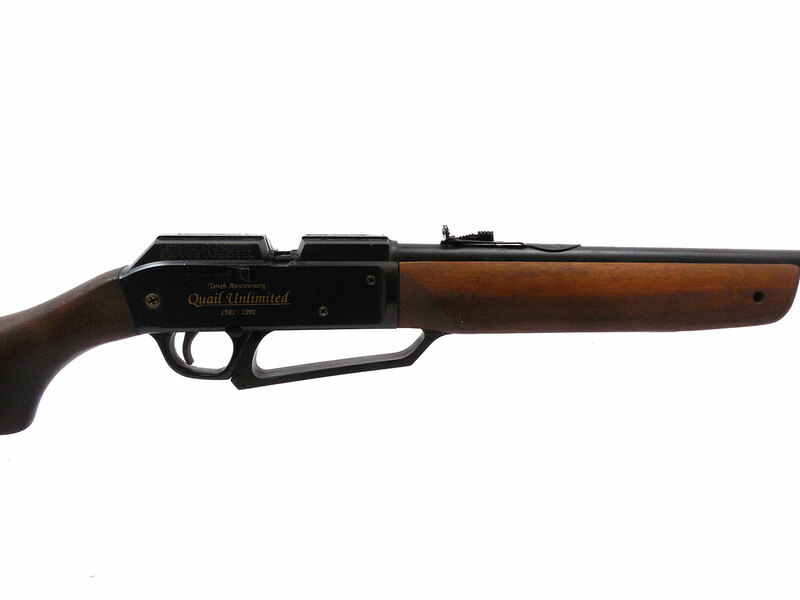 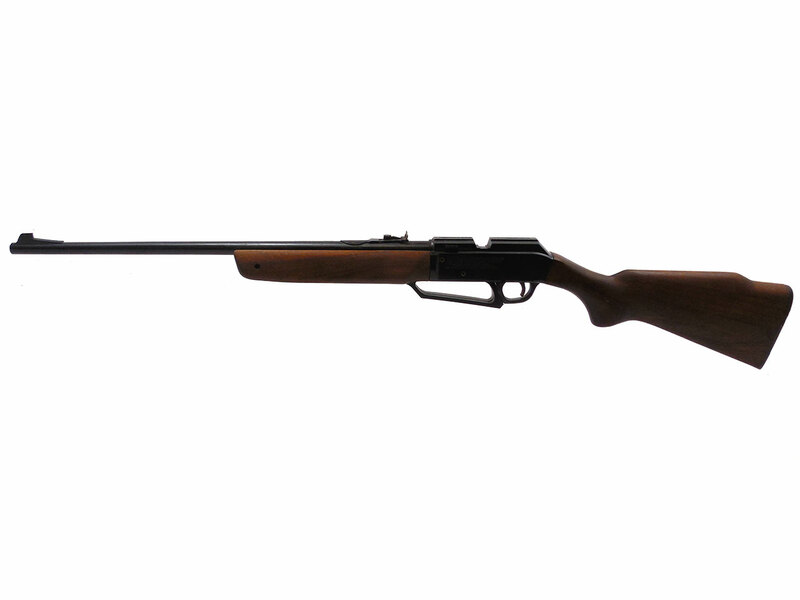 The Daisy 880 is a .177 caliber pellet / BB rifle. 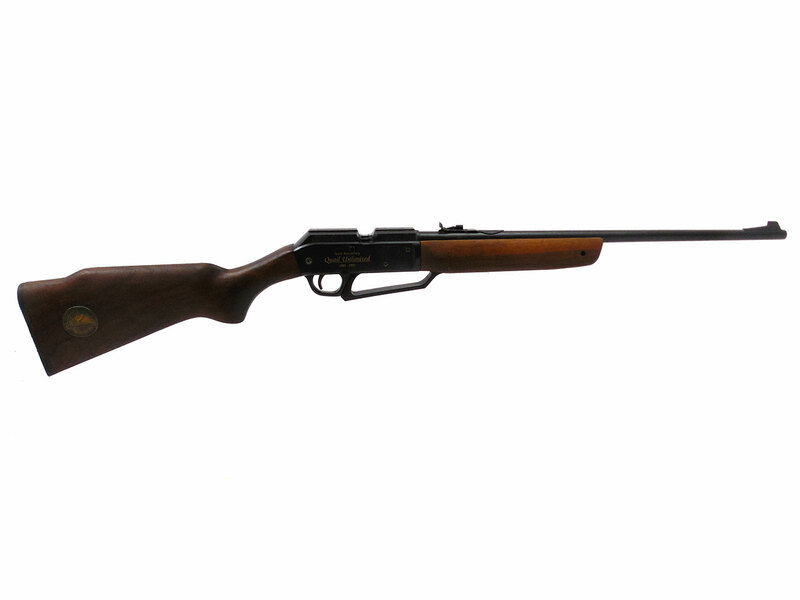 50 shot repeater for BB’s, and single shot for pellets. 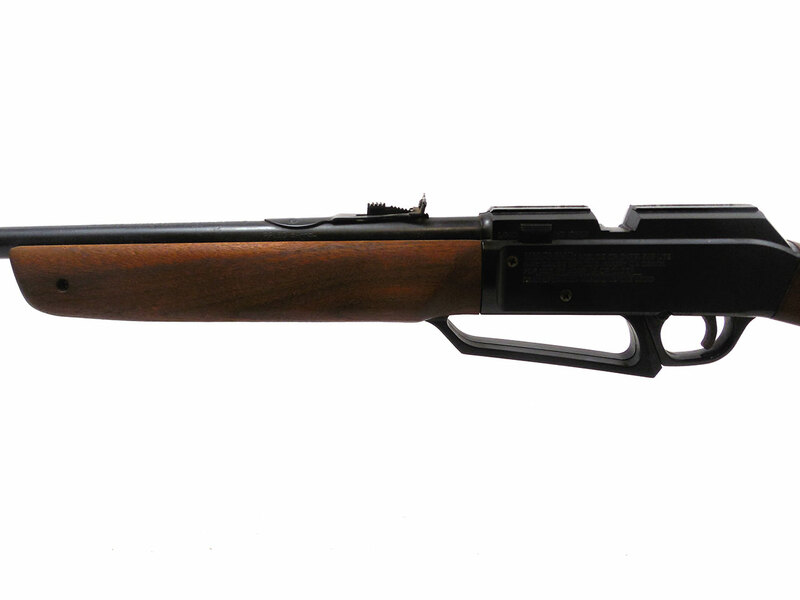 This is an early model with a metal receiver. 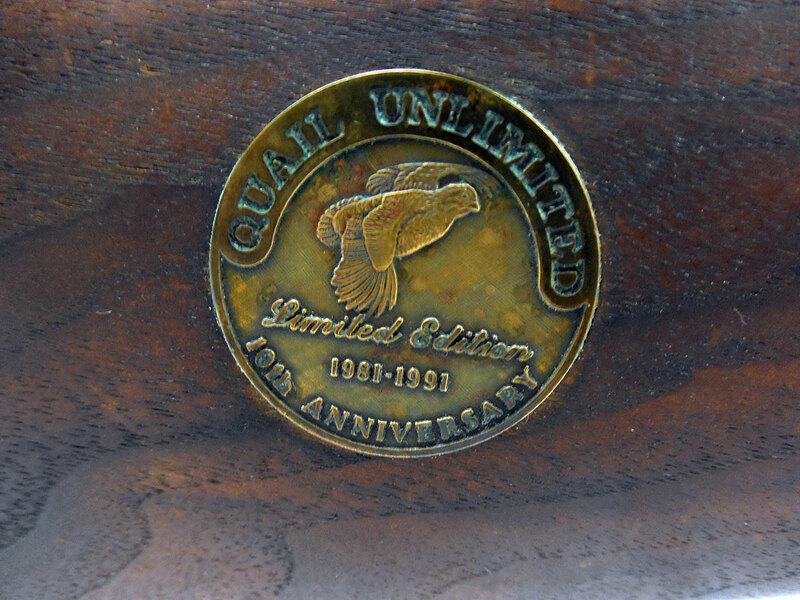 It’s a special edition Model 880 made to commemorate the Quail Unlimited 10th Anniversary in 1991 featuring a wood stock / forearm with Quail Unlimited Medallion. 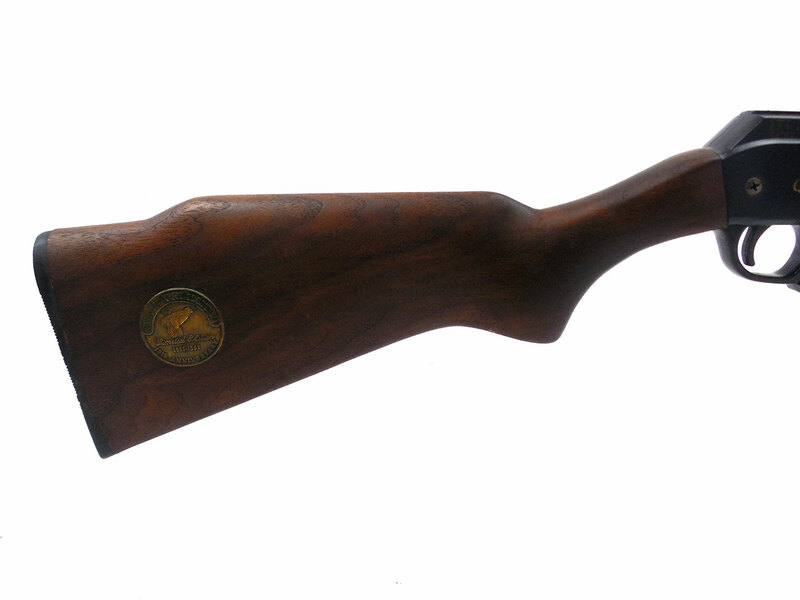 The metal retains about 95% of the original finish. 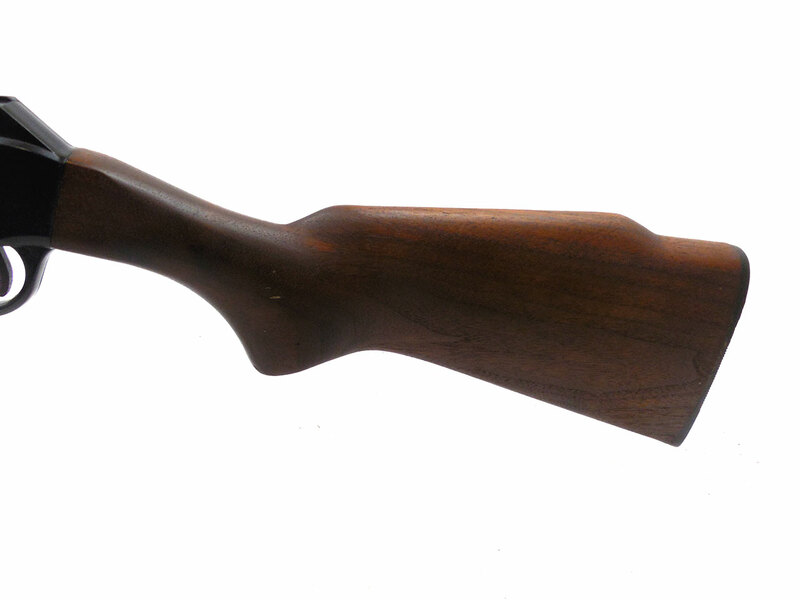 The wood stock has a little minor wear, but is in very nice condition. 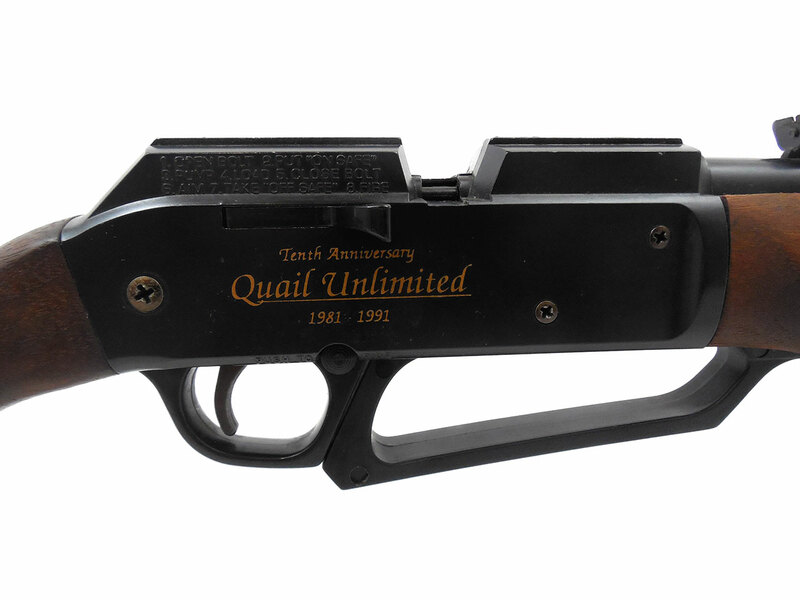 Velocity tested at around 437 fps using lead pellets.